Corporate interiors firm MKDA has sponsored for the second consecutive year CAW's Urban Design Initiative, an arts and community-based initiative of the Creative Arts Workshops for Kids, a nonprofit that improves the lives of underserved youth in Harlem and all Northern Manhattan through the use of the visual, performing and technology arts. Launched last year, CAW's Urban Design Initiative introduced children from Harlem elementary, middle and high schools to planning and urban design through the examination of places, planning theory and collaborative place-making. MKDA president Michael Kleinberg was the CAW's first visiting design professional and assisted Urban Assembly Institute for New Technologies students in learning about building construction, redevelopment/adaptive re-use, and building placement within the community. 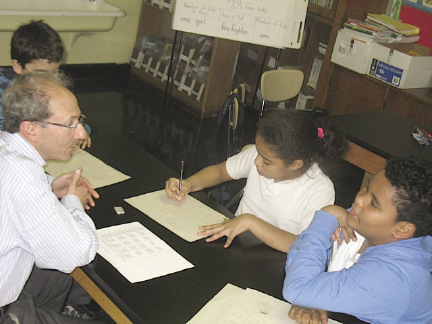 This academic year, Mr. Kleinberg is supporting the workshop at PS 192â€”Jacob H. Schiff Elementary School. "Having a successful and caring professional like Michael visit the classroom has added great joy and a significant dose of reality to our youth's sense of accomplishment and understanding of their future opportunities," said Creative Arts Workshops for Kids' executive director and CEO Brian Ricklin, a former real estate entrepreneur and investment manager. "We appreciate MKDA's leadership, generosity and support of the Urban Design curriculum for another year." "The mission to empower youth, stimulate creativity, and promote problem-solving and community engagement resonated with me as a real estate professional and struck me personally as both innovative and worthwhile," said Kleinberg. "Having witnessed the students' enthusiasm, pride and innovation alongside CAW's exceptional leadership first hand, we look forward to providing our continued support." Creative Arts Workshops for Kids (CAW), a 26-year-old, 501(c)(3), nonprofit organization, improves each year the lives of 5,000+ underserved Northern Manhattan youth, ages 4-24 through the use of visual, performing, and technology arts. Youth in uptown neighborhoods including East Harlem, Central Harlem, Manhattanville, Hamilton Heights, Washington Heights, and Inwood learn job and developmental skills through CAW's various ArtWorks programs. CAW offers free Saturday and after-school workshops and full-time Summer jobs that empower youth to develop their leadership and creative problem-solving skills and build self-confidence and other tools for positive self-expression, while deepening the relationship between themselves, art and community to create positive change. For more information on the organization, visit www.caw4kids.org and CultureNow's Museum Without Walls at www.culturenow.org to tour some of CAW's iconic public art. MKDA is a corporate space planning and interior design firm that was established in 1959 by famed showroom designer Milo Kleinberg. Today, the firm is headquartered in New York City with a second office in Stamford, CT and services corporations across industries, non-profits and government office and commercial building owners. MKDA's corporate clients include Design Within Reach, Pernod Ricard, Heineken, Guggenheim Partners, Calvin Klein, GE Monogram, Harvest Partners, AICPA, Lowenstein Sandler and Wachovia. 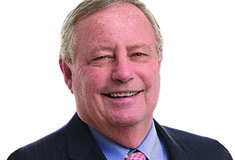 The firm is also one of the most prolific landlord firms for clients that include Silverstein Properties, Vornado Realty Trust, Reckson, SL Green, Normandy and many others. For more, visit www.mkda.com.